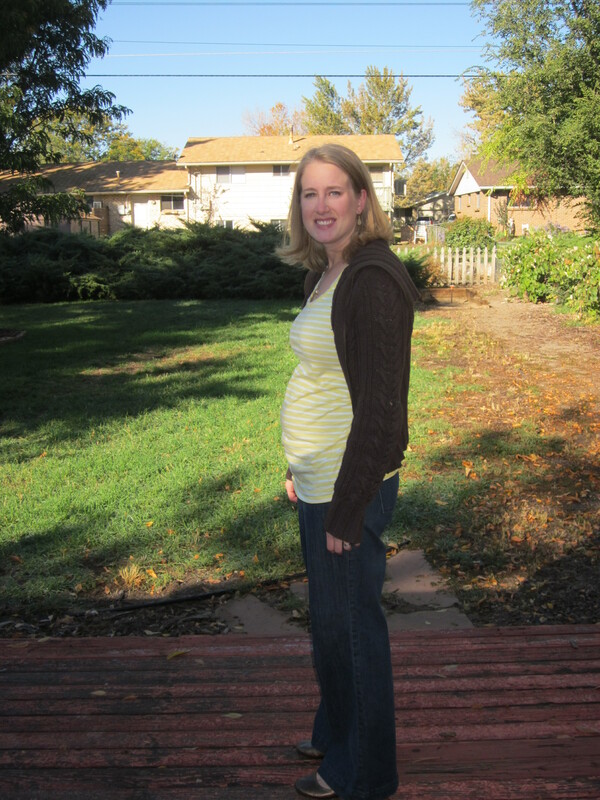 I’m officially in the second trimester! The baby has grown to be the size of a lemon. I celebrated yesterday morning by throwing up for the first time during pregnancy. I think it was caused by drinking tea on an empty stomach? It was kinda weird – I have a lot of energy in the morning so I was tidying up the house and all of a sudden, I felt sick. It lasted for about 5 minutes, I puked and then I was fine – but I made sure to eat something so that it didn’t return. On Thursday, I ran almost a full 3 miles. Even though I’m still ridiculously slow and have to stop and walk every once in a while to keep my heart rate under 150, it felt great to get out there. It reminded me of why I love running – I love getting outside and I love how even a slow jog feels like a good workout. I bought two pairs of maternity pants at the used maternity store on Saturday. They cost half of what I would pay for new pants so it was definitely worth going there. The lady said they get new stuff in all the time so I plan to go back. The rest of the weekend was spent car shopping and room organizing. We bought a bunch of totes and filled them with all the stuff that was in the dresser that we’re putting in storage. Progress towards the nursery! Side note on cravings: I used to prefer sweet things over salty any day of the week but now, my tastebuds are completely reversed. I would gladly pass up chocolate to eat potato chips. It’s so very strange. Also, if I hadn’t discovered that I can still eat cooked or vegetarian sushi, I would be very sad. We have eaten it more often during the past 3 months than we did before. Probably another result of the salty tastebuds. You look great! I just hit 14 weeks yesterday too 🙂 I go between salty & sweet alot. Yesterday it was salty… All I wanted to eat was Pirate’s Booty! Ahh, those fun days of “celebrating” with morning sickness.